In late Summer a large unsafe Horse chestnut tree was felled. 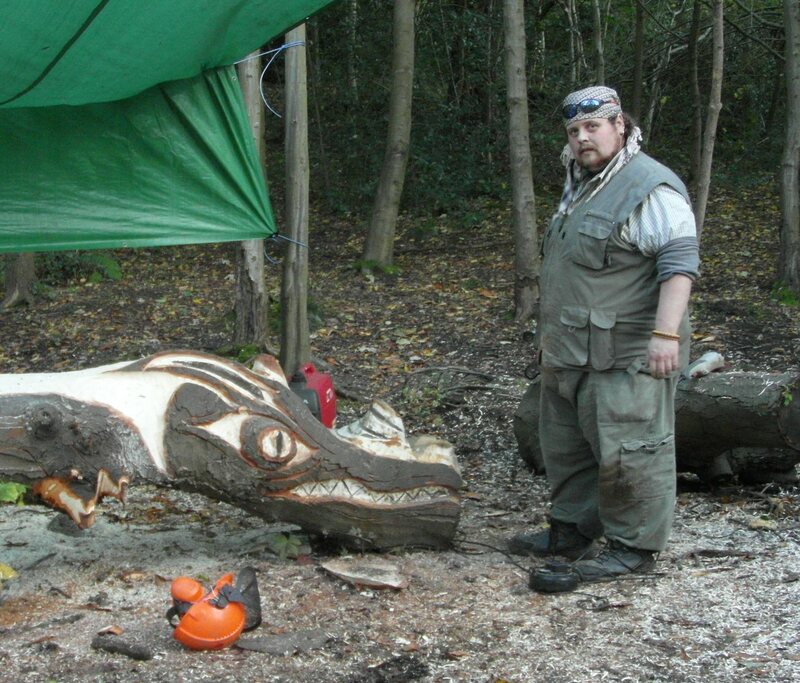 In October Russ Cottrell (our resident bodger, seen here) along with Alan carved two dragon heads into the fallen trunks. These have now become a popular feature for visiting walkers and children enjoy climbing over them. A new project has begun in the Walled Garden, as a new is being constructed, with aim to create a Herb Garden shaped like a dragon. 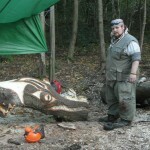 The plan is that the head will be a large, shaped clay oven, for use in the future BBQ events.